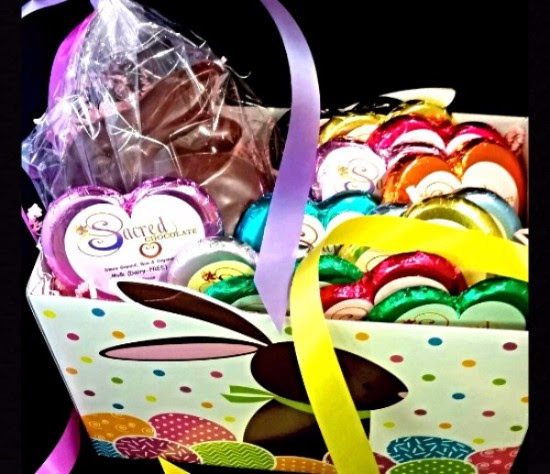 Sacred Chocolate is here with some sinfully delicious candy to celebrate Easter, Passover, Mothers Day and celebrating the season of Spring. Immuno Mushroom which includes medicinal mushrooms and has a woodsy flavor. 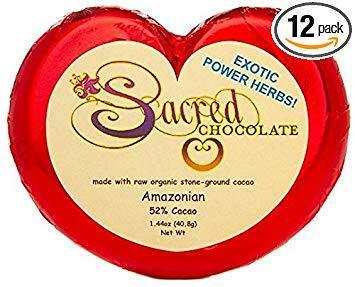 Here is the famous Amazonian Heart which has 22 Amazonian herbs plus nuts and fruits from the Amazon Jungle. You can buy it from Amazon. I would only do that in the winter months due to the fact that the Heart bars have to be at 72 degrees or lower. I really do not know how experienced Amazon is at shipping chocolate. If your interested you can click on the image below.